Fans of fitness-based technology and gadgets may have noticed the unveiling of a new product in Lifetrak’s range over the past couple of weeks – the new Lifetrak Move C300. 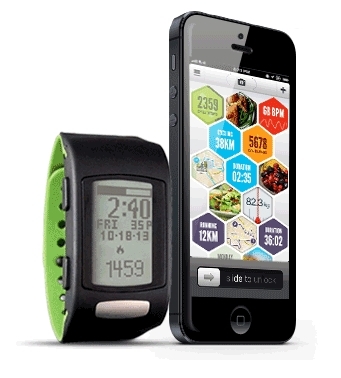 This upgrade on the current Core model is being promoted as a new, advanced model thanks to its tracking capabilities, calorie counter and improved connectivity via Bluetooth and looks set to become a desirable gadget. This introduction to this new inclusion in the Lifetrak watch line will look at the benefits that it can offer as an advanced fitness tool, particularly in comparison to the Core C200, and see whether the media attention is justified. Is this a new and improved model that fitness fanatics should go mad for or should it really just be called the Core 2.0? What makes the Lifetrak Move C300 model so special compared to the previous Core C200? There are a lot of obvious similarities between the Lifetrak C300 and the Core C200 that preceded it because they are almost identical on the surface and share many of the same features. 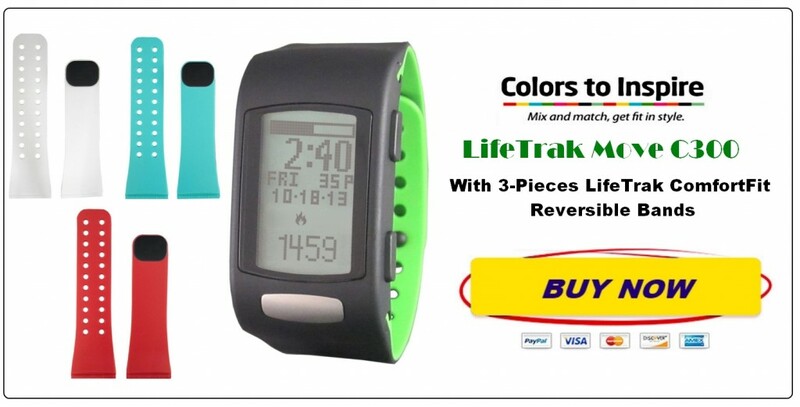 In fact, you have to wonder if Lifetrak changed the text colors online just to assure users they were looking at different watches. The product range has always been keen to boost the fact that it is a waterproof, stylish fitness watch that never needs recharging because of its long-life battery and these are features that have not changed with the switch from Lifetrak Core to Move. You can still swim in it without a care to a depth of 90ft, wear it for prolonged periods of time and swap the interchangeable band for a more vibrant color. The two models may look similar at first but the Lifetrak C300 is definitely a much more technologically advanced product that can offer a lot more to its users. The greatest example of this – and the one that is getting the most press attention – is the improved Bluetooth connectivity that lets users sync their watch to their phone or tablet for a simple transference of data onto apps, such as the highly recommended activity tracker Argus. This integration is an ideal improvement because it increases the availability and readability of your data and therefore makes it easier to track your progress and work the watch into your lifestyle. The open API means that this connection is available for other apps, in case there is one you favor over the Lifetrak C300 Argus app, and although it is currently only compatible with IOS, it will soon be available on Android. Even with this new focus on integration and connectivity, the Lifetrak Move C300 continues to be a great fitness tool. Calorie counting is an issue in many fitness products, with many programs either overestimating or underestimating the amount burned due to poor calculations or poor tracking of movement. The automatic tracking of the Lifetrak watches means consistent monitoring of steps, distance, and calories but the developers of the Move C300 have also created a special algorithm to improve the calculations of calories burned based on heart rate and activity. This attention to the mathematics means a greater chance of accuracy in calorie data – something that is crucial in weight loss regimes and general fitness maintenance. The heart rate aspect of this formula is determined by another of the many useful software features that put the Lifetrak watches ahead of other brands. This product uses a patented ECG feature to monitor the wearer’s heart rate and use the data to help them understand their activities and fitness levels. The simplicity of the one-touch system and the accuracy of the data mean that this feature can be relied upon as heavily as the distance tracker or clock and some users of the old C200 model say that the ECG even worked just after a session in the pool. If that was not enough, the Lifetrak C300 also stores previous results in the system for easy comparisons. There are a number of other features that have been retained from the previous Core model and they should not be overlooked because of the continued benefits. There is a surprising, heightened awareness for a product of this nature because it is adaptable and looks for alterations instead of blindly reading steps like a basic pedometer. The C300 adjusts for stride length to create more accurate distance readings, recognizes different motions and even acknowledges false steps. The fact that the display lights up may be lower down the list when it comes to importance but it adds to the convenience and the sense that this watch will be a reliable training partner at any time. Is this the upgrade that people want? What do users have to say about the Move C300? There are plenty of media endorsements in favor of this new Lifetrak product; technology blogs are gushing over its new features and connectivity and it is even earning some airtime on some top TV networks. There is, however, limited feedback available from actual users because this is still a new, fresh product that is now available for purchase here. Whether this new design will play well with consumers or not will be seen when the product becomes readily available but hopes are high, especially after the questionable accuracy of the calorie counter in the Core C200 model. Summary: why the Move C300 is the best around…at the moment. Whether you chose to buy a Lifetrak Move C300 for yourself will depend on which desire is strongest, your desire to have a fitness tracking watch with fantastic connectivity or your desire to see some real, user reviews of the product to judge its complete worth. At current discount at below $50, the Move C300 is competitively priced and undeniably tempting but do not forget that the upcoming Fit C410 is on its tail with its additional ability to monitor sleep. It seems that you will eventually be able to track everything with a handy Lifetrak watch but, for now, the Lifetrak C300 is the top model on offer and its enhanced technology, Argus Links, and beneficial design should make it a worthwhile purchase.